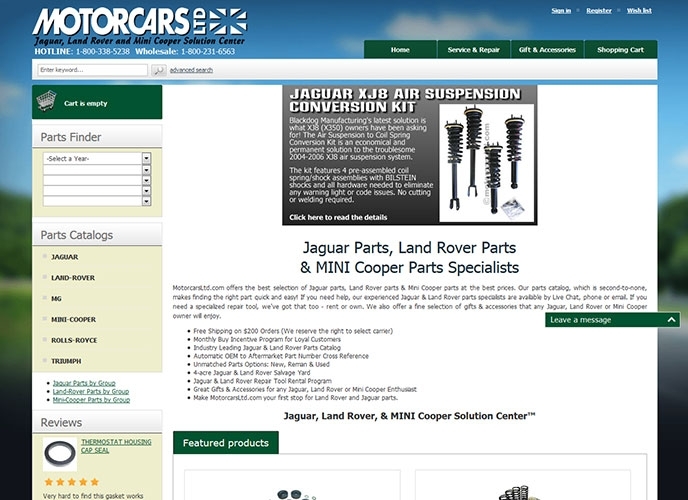 Motorcars Ltd is one of the world’s largest suppliers of affordable, high-quality Jaguar, Land Rover and MINI parts. For over 40 years, MotorCars Ltd. have been providing quality car parts to their customers for repair and maintenance services. Operating out of Houston, Texas, Motor Cars Ltd. has been operating on both offline and online platforms to increase their audience reach and widen their area of services. Prior to approaching us, Motor Cars Ltd. had been constantly facing ranking issues where their primary keywords such as “Jaguar Parts” and “Land Rover Parts” were not able to rank well. Also, along with the downward trend of their SERP ranking, they were losing out on a lot of traffic as well. 1. In order to push up the rankings, we implemented a thorough content strategy where we targeted the selected keywords based on on their search patterns and published content on a variety of target oriented websites. 2. When we analysed the website of Motor Cars Ltd. we found a lot of dead links and on-site errors that were causing the website to drop down on the Google SERP rankings. 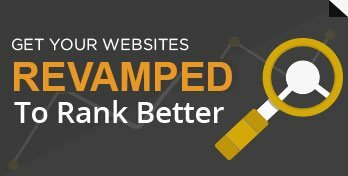 Our SEO teams started bad link removal and link detox of the entire site to fix all of the on-site errors that were hampering the website. 3. In the process of SEO, Meta tags and h1, h2 tags play a crucial role in helping with the visibility and ranking of web pages of a site. In order to catalyze the process of ranking, and improving visibility and user engagement, we altered some of the page meta tags and h1 tags so as to make them more SEO friendly, which resulted in good ranking results, as you can see below.